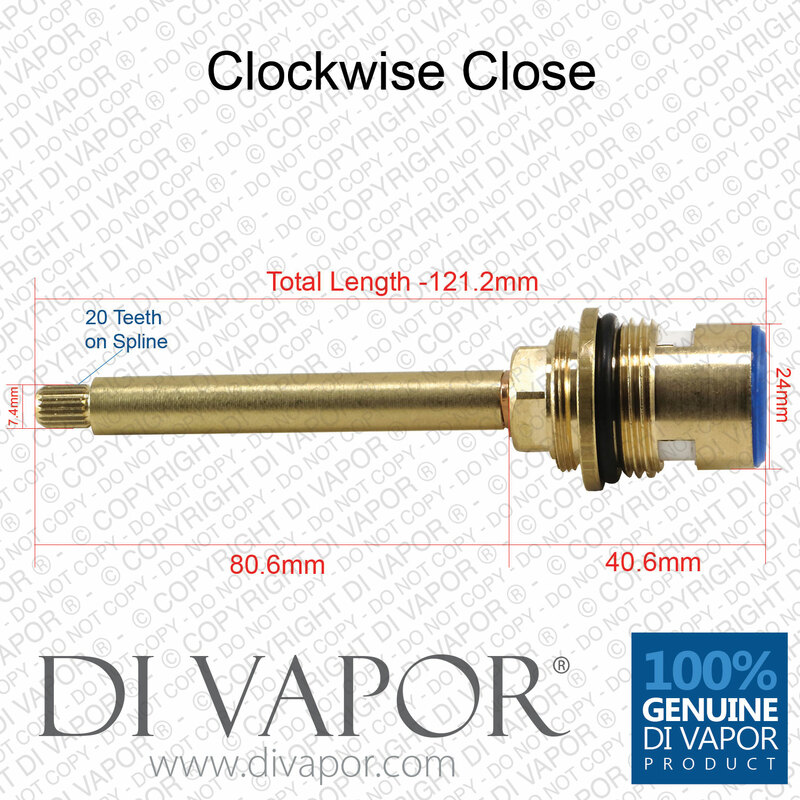 This is a brand new replacement thermostatic cartridge for IB Rubinetterie shower and bath mixer valves. IB Rubinetterie is a luxury bathroom brand, whose products are made in Italy. This spare cartridge can come in two different finishes; brass and chrome. The chrome silver looking cartridge is essentially brass which has been painted chrome therefore if your cartridge is not a chrome silver like the one in the product photo above, this is not an issue. Your IB cartridge might not have gauzing either, however this is the improved newer version of the cartridge. The gauzing will prevent dirt and debris from entering the cartridge and damaging it. 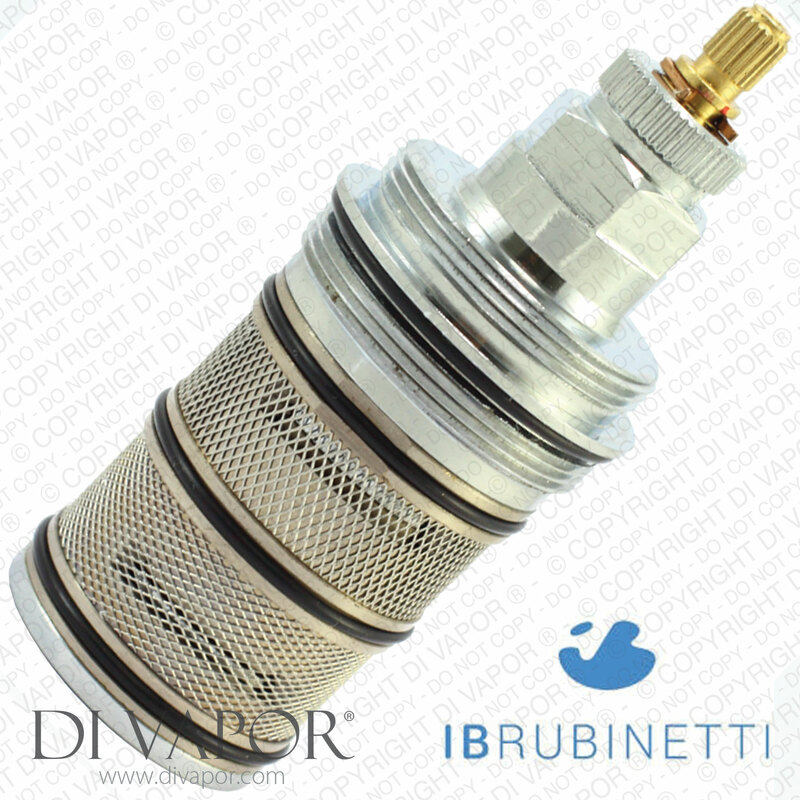 This thermostatic cartridge will fit on many of their thermostatic shower and bath mixing valves, therefore if you're looking for IB Rubinetterie cartridge spares, the chances are this is the one you need. Please remove the cartridge from the mixing valve which you have and compare it to those in the pictures above to make sure this is the same cartridge in your valve. Step 1: Turn off the water to the shower and turn off the water flow handle on the shower valve. Step 2: Unscrew the grubscrew using an allen key. Step 2: Take off the thermostatic handle. Step 4: Remove the temperature safety stopper. Step 7: Unscrew the cartridge, anti clockwise. - If the temperature control handle is stiff or can't be turned. Step 1: Simply reverse the steps above, however please ensure the grub-screw hole in the thermostatic cartridge lines up with the grub screw hole on the valve and that there is no debris inside the valve.